The Doncaster hotels listed below are either in the town or we have given a rough guide as to how far they are from Doncaster. We hope you enjoy your stay and find your ideal accommodation. Station: DONCASTER. 0.5mile. Travelling by car: North & West - A1 follow the signs to Doncaster (A630). As you turn off the motorway, turn left at the roundabout. There is always a warm and welcoming atmosphere at the Holiday Inn Doncaster, located just off the A1 (M) at Jct 36 the hotel is set in its own picturesque grounds and provides an ideal base for a host of great days out. The hotel has 102 bedrooms, complimentary car parking for 250 cars, restaurant, Preludes Cafe bar and full leisure facilities comprising of a Gym, Sauna, indoor heated swimming pool, solarium and beauty treatments. Visit the renowned shopping experience of Leeds and Meadowhall Shopping Centre all located nearby. The hotel is also within easy reach of the M1, M18, and M62. Doncaster railway station and both Doncaster/Sheffield Robin Hood and Leeds/Bradford airports are also within close proximity. Station: DONCASTER. 3miles. From the A1(M), southbound/northbound leave at Junction 36 to the A630 & turn right at the roundabout (signposted Rotherham). The entrance to the hotel is 100 yards on the left hand side. Station: DONCASTER. 1mile. Exit M18 at Jct.3, follow brown signs for racecourse and leisure park. Head towards town centre along A6182, passing racecourse on left and follow signs towards Bawtry along dual carriageway. Please note guests must check in before 11pm. Station: DONCASTER. 7miles. From the M1, A1 or M18 (Northbound towards Scunthorpe) Join the M18. Exit the M18 at Junction 3, following the signs for the Airport. The Stables is set in the picturesque village of High Melton 5 miles from the Doncaster town centre and just a few miles from junction 37 of the a1. This 3-star hotel is next to Doncaster Racecourse, just outside Doncaster city centre, close to the A1 and M18. There is a fine-dining restaurant, a bar with racing memorabilia, and free parking. Premier Inn Doncaster Central High Fishergate is ideal for Doncaster town centre, St George's Minster and transport links. It has a Table Table restaurant and air-conditioned rooms with great beds. Park Inn by Radisson Doncaster is a contemporary hotel set in a business park, conveniently positioned just off the M18, 1.5 miles from Doncaster Train Station and Doncaster City Centre. Modern and stylish, Ramada Encore is just a 2-minute walk (400 yards) from Doncaster Robin Hood Airport terminal. The bright, spacious bedrooms feature desk space and flat-screen TVs with satellite channels. Just half a mile from Thorne Golf Club, Belmont Hotel is 20 minutes from lively Doncaster. There is free parking. The cosy rooms have TVs and tea and coffee facilities. All rooms are individually designed and each has a private bathroom. The modern rooms at the 4-star Crown Hotel feature interactive LCD TVs with in-house movies and music. There is free private parking, and the cosy restaurant offers a Yorkshire tapas menu. In the pleasant rural community of Edenthorpe, on the A18 - Thorne Road and within easy reach of the M18 motorway, this traditional inn offers free Wi-Fi and free parking. In Doncaster's shopping district, the Danum Hotel is 7.4 miles from Robin Hood Airport and 600 metres from Doncaster Railway Station. All rooms have satellite TV and en suite bathrooms. Ideally located, Premier Inn Doncaster (Lakeside) combines comfortable accommodation with good value, next door to Lakeside Village and close to The Dome Leisure Centre. With an award-winning restaurant, luxury spa and acres of scenic parkland, Best Western Mount Pleasant Hotel is a mile from Doncaster Sheffield International Airport. There is free parking and free Wi-Fi. 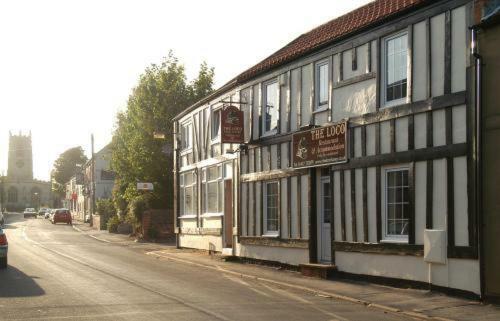 More than just a village pub, this 4-star rated property is located in the heart of Lincolnshire's Isle of Axholme, within easy reach of the historic market town of Epworth. Just a 15-minute walk from Doncaster centre, Restover Lodge Hotel Doncaster offers free parking and modern rooms with Wi-Fi access. Doncaster Railway Station is just a mile away. Opposite Doncaster Racecourse, the Hotel Campanile Doncaster is 15 minutes drive from Robin Hood Airport and 5 minutes from the city centre. It has a bar, restaurant and free Wi-Fi. Ideally located, Premier Inn Doncaster Central East offers comfortable accommodation with good value, close to cinemas, shops, Doncaster Race Course and Doncaster Railway Station. 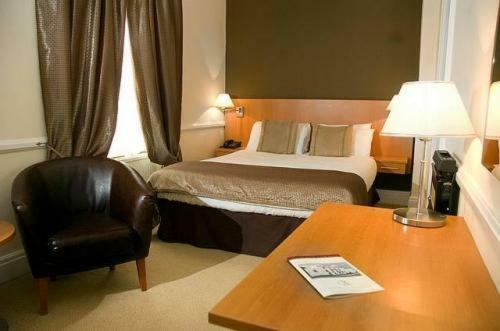 Close to Robin Hood Airport, 2 minutes' drive from the M18 motorway and the A1(M), this modern hotel offers comfortable, air-conditioned rooms. 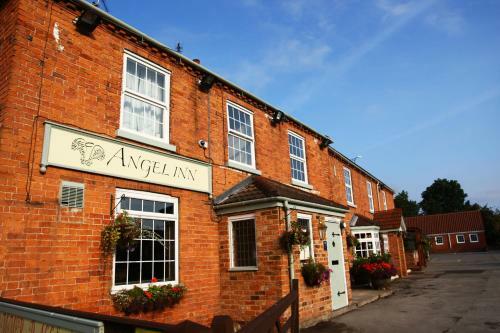 In the picturesque village of Misson, the 200-year old Angel Inn boasts stylish, cosily furnished rooms. 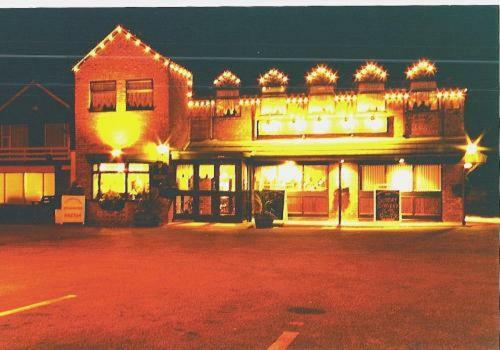 Just 10 minutes' drive from Doncaster Airport, it serves fresh food cooked to order. In the centre of Doncaster, Regent Hotel features modern rooms with free Wi-Fi, and overlooks the charming Regent Square. The bus and train stations are a few minutes' away. This luxury country house has an 18-hole championship golf course, and a brand new fitness facility and swimming pool with spa, steam room and sauna. Bedrooms are situated in the 17th-century Old Hall, and others are located in the Old Stables. Owston Motel is a converted farm building located just off the A19. Set in the countryside, Owston Motel provides the perfect setting for a quiet and relaxing stay that is convenient for 2 golf courses. This impressive Art Deco hotel is less than 500 metres from both Doncaster's town centre and race course. After a Â£4.5 million refurbishment, elegant rooms have free Wi-Fi, and there is free parking. For accommodation in other areas near to Doncaster, Yorkshire see Yorkshire Dales. For hotels accommodation in other areas nearby see Barnsley hotels & Pontefract hotels.